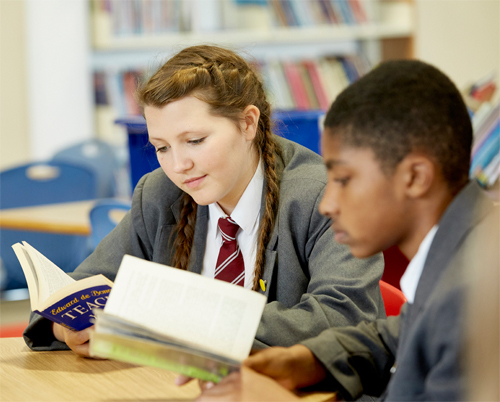 The school believes that encouraging children to read for enjoyment is key to their success as a reader. Teachers choose potent texts that will excite the children and motivate them to want to read more. In order for children to become successful, independent readers, they need to process a variety of reading skills and knowledge. Teachers in the school provide the children with a good model of spoken English, with lots of discussion related to the children’s personal experiences. All children listen to stories in class on a regular basis. The school adopts a multi-strand approach to the teaching of reading, balancing the daily systematic teaching of synthetic phonics (defined as teaching letter-sound relationships in an explicit, organised and sequenced fashion where the child sounds out and blends sounds of printed words to produce a spoken word which they can then hopefully recognise), with integrated teaching during the literacy hour encompassing the ‘whole word’ approach. Every teacher provides opportunities for children to develop their reading skills.